At the end of the First Indochina War in 1954, there were some 60,000 Viet Minh members serving in South Vietnam. Following the Geneva Accords, a large number of these men began to regroup in North Vietnam, while between 5,000 and 10,000 others were ordered to stay as a reassurance to Viet Minh’s influence in the South in case the general elections would not occur. However, these 5,000-10,000 stay-behinds, according to an estimate of the French, were only a fraction of the Viet Minh residue1. Although some part of the Viet Minh still remained in the South, South Vietnam was gradually controlled and stabilized by Diem’s forces during 1954-57. Almost all dissidences in the countryside were quelled successfully. However, Viet Minh began to increase their activities in mid-1957 with a series of acts of terrorism against government targets, which they called the “extermination of traitors”, in the countryside2. In 1957 alone, there were more than 150 assassinations attributed to Viet Minh3. Despite the increase in both numbers and intensity, Viet Minh’s activities were still small and distributed as their leaders from Hanoi could not afford to get involved in the South until they finished cleaning up the mess they made in the land reform in North Vietnam4. By mid-1959, the North began to provide more obvious support including personnel and materiel to the southern communists through the Ho Chi Minh trail. At the end of 1960, they formally established the National Liberation Front for South Vietnam (NLF or Viet Cong), an organization which was designed to encompass all anti-government activists in South Vietnam. Soon after, Viet Cong issued a ten-point program whose first point stressed its objective to “overthrow the camouflaged colonial regime” in South Vietnam and “the dictatorial power of Ngo Dinh Diem”5. 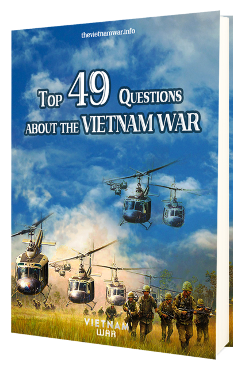 Since then Viet Cong became a major force of the insurgency in South Vietnam. Viet Cong’s membership increased dramatically within a few months of its establishment and reached 300,000 in early 19621. Most of its new recruits were southerners who were outraged by Saigon government, including ex-Cao Dai, ex-Hoa Hao, ex-Binh Xuyen, displaced peasants and urban workers. In 1962, the People’s Revolutionary Party (PRP) was formed up as the leading force of the NLF. Although it did not declare itself as a communist party, Hanoi had announced that it represented Marxist-Leninist in South Vietnam. Thus, its internal organization had developed based on the model of the Communist Party in the North. A Presidium (a small Politburo) headed by a Secretariat made all major decisions. Across 20 regions in South Vietnam, the NLF adopted its own “shadow government” which oversaw every district and village in its area. Beside its political party, the Liberation Army was another key component of the NLF. As the military arm, the Liberation Army carried out all military operation from guerilla warfare at the beginning to conventional combats at the peak of the war. Initially, Viet Cong adapted the strategy of guerilla warfare which was instructed in Mao Zedong doctrine. They regularly worked in small cells of between three to ten persons. These small groups had to accomplish two major goals – first, to win the hearts and minds of the peasants living in the rural areas; second, to conduct small military actions to harass and wear down enemy’s power. Under Diem’s policy, most of cultivated lands in South Vietnam were still owned by a small number of landlords. Therefore, a large numbers of peasants, who had no land, were forced to work for them. Understanding the situation, the NLF began to support the peasants to take the lands back. Their solution was to punish or, in some cases, even execute the landowners and distribute their land among the peasants. In return, the peasants agreed to help the Viet Cong by providing them food and hiding places. 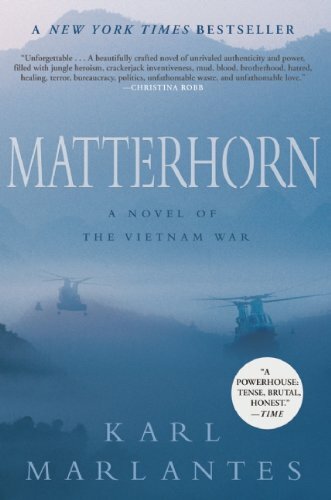 In combat, the Viet Cong often chose the time and places they wanted to engage. In fact, they did not go into combat unless they were certain of winning. Therefore, they focused their efforts on ambushing small enemy patrols or attacking poorly guarded government positions. Their attacks often occurred at night to increase the advantage. In case that they got into a disadvantaged situation, they could just easily retreat to safer areas or hide among the peasants who supported them. As the NLF grew rapidly, the level of violence conducted by Viet Cong jumped dramatically in the fall of 1961. In October, there were 150 NLF guerrilla attacks, tripling the number of the previous month6.